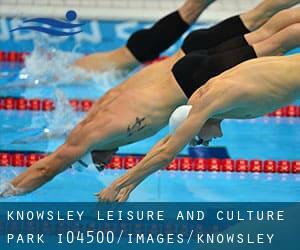 Introducing now Knowsley Leisure and Culture Park swimming pool, an awesome swimming pool sent by a swimmer like you couple of days ago. Have you visit this pool? Do you work here? Please, contact us if you have data which you feel is gonna be beneficial and don't forget from now on it is possible to now promote every single pool just by sharing this page with your buddies or adding comments in the Facebook boxes below. Come on and assist this pool to be the very first in Liverpool! Swimmers like you have reported 25 meters, 8 lanes, Indoors. Also, you will find 25 meters, 4 lanes, Indoors. Just in case you desire to make contact with this Pool before dropping by, we only know the phone number. 6 The Aerodrome , Speke , Liverpool , England , UNITED KINGDOM (Postal Code: L24 8QD). Among all the activities supplied by the centre, if you're enthusiastic about swimming you will enjoy 25 meters x 12 meters, Indoors. Just in case you desire to contact this Pool before dropping by, we only know the phone number. Cherryfield Drive , Kirkby , Liverpool , England , UNITED KINGDOM (Postal Code: L32 8SA). Among all the activities offered by the centre, if you are interested in swimming you may take pleasure in 25 meters x 12.5 meters, 6 lanes, 1 meters - 3 meters depth, 1 meters - 3 meters depth, Indoors. If you need to get in touch with this Pool, email address and phone number are both number. Updated on 2019 Speke Road , Garston , Liverpool , England , UNITED KINGDOM (Postal Code: L19 6PE). Among all the activities offered by the centre, should you be keen on swimming you may take pleasure in 25 meters, 5 lanes, Indoors. Just in case you desire to make contact with this Swimming Pool just before dropping by, we only know the phone number. North Parade , Liverpool , England , UNITED KINGDOM (Postal Code: L24 2SD). Among all the activities offered by the centre, in case you are considering swimming you can expect to get pleasure from 25 meters, 6 lanes, Indoors. Just in case you want to contact this Pool prior to dropping by, we only know the phone number. Carr Lane , Norris Green , Liverpool , England , UNITED KINGDOM (Postal Code: L11 2XY). Among all the activities supplied by the centre, should you be enthusiastic about swimming you might get pleasure from 25 meters, 4 lanes, Indoors. Just in case you want to contact this Swimming Pool just before dropping by, we only know the phone number. Quarry Street , Woolton , Liverpool , England , UNITED KINGDOM (Postal Code: L25 7RS). This sports centre delivers 18 meters, Indoors. For this Swimming Pool, only phone number is number here. Baileys Lane , Halewood , Liverpool , England , UNITED KINGDOM (Postal Code: L26 0TY). Among all the activities supplied by the centre, for anybody who is enthusiastic about swimming you may delight in 25 meters x 16 meters, Indoors. If you will need to get in touch with this Swimming Pool, email address and phone number are both number.